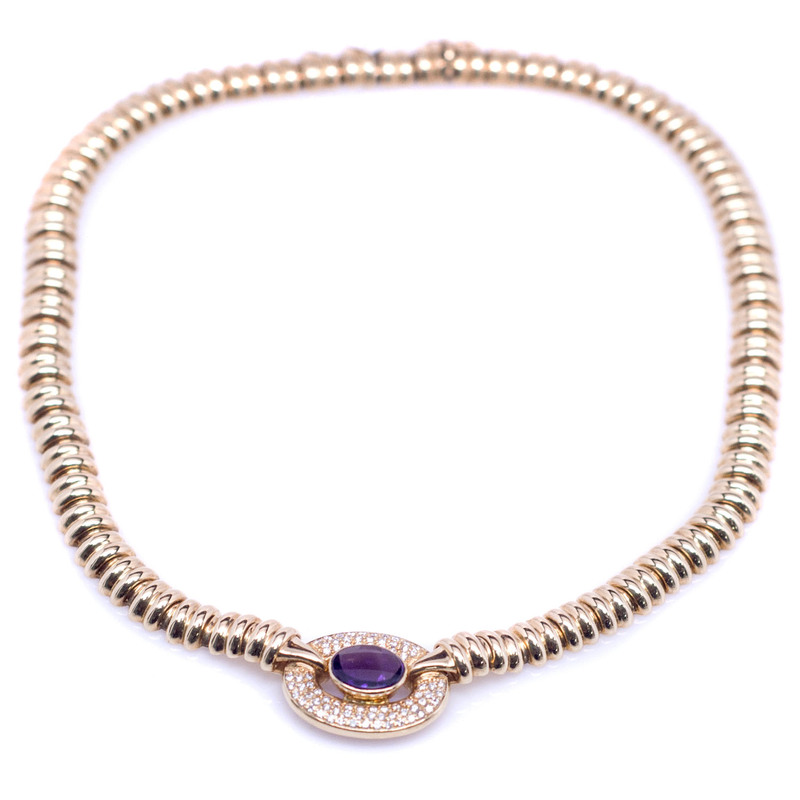 This necklace centers a horizontal, bezel set, oval amethyst surrounded by a thick, oval halo of pave set diamonds. The oval measures approximately 1" long by 3/4" high. Each side of the chain measures eight inches with double ribbed articulated links. The necklace closes with a hidden box clasp and a figure eight safety catch. One bezel set oval modified brilliant cut natural amethyst, measuring 10.59 x 8.60 x 5.20mm, approximate weight of 2.55ct., clarity is eye clean, type II, medium dark, strong, bluish purple color, (GIA bP 6/5), cut is very good.